Conventual Franciscan Father Joel Burget is the pastor of St. Benedict Parish in Terre Haute. He was ordained to the priesthood in 1966 and is 70. 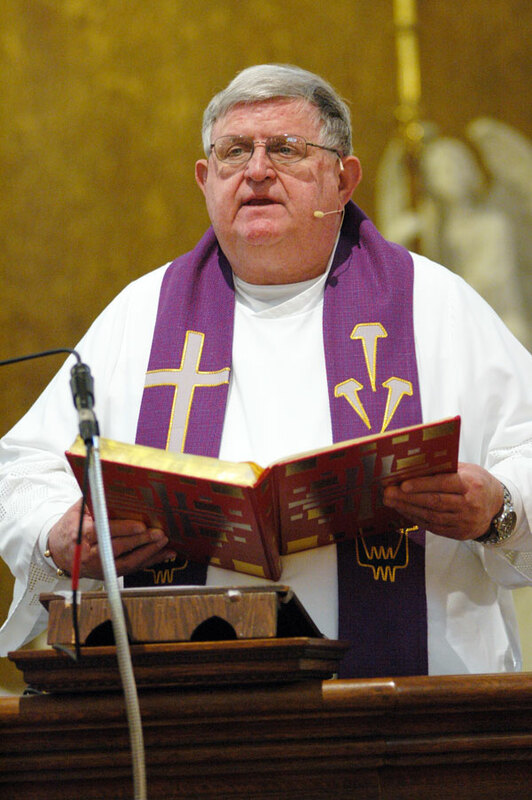 Born and raised in Terre Haute as a member of St. Benedict Parish, he also served as a missionary priest in Zambia from 1966 until 1989. Early call to a vocation—“We’ve always had the Franciscan presence here. The Franciscans have been here since 1872. Originally, it was a Benedictine church, but they could no longer care for it so the Franciscans took it over in 1872. “I’ve been associated with Franciscans all my life. I never really thought much about the priesthood until I was in the seventh grade. “A missionary priest visited from Zambia. [The Conventual Franciscans] had missions in Zambia at that time. I got to know him, and was enthralled with the stories he would tell me about the poor people in Africa and how he was ministering to them. I decided that was what I wanted to do. “When I got to the eighth grade, I wrote a letter to the [Franciscan] provincial at Mount St. Francis in southern Indiana, and asked to go to high school there to have some discernment about my vocation. Life as a Conventual Franciscan—“Our Franciscan charism always has been reaching out to the poor. We’ve always been associated with those who have less, and that’s why we’re called the Lesser Brothers. … Our philosophy is to serve people who have little or less or nothing.